Second Prize Winner of the 2015 Primrose Competition, prize winner if the Lionel Tertis International Competition, second prize winner at the Bashmet International Viola Competition, violist Elias Goldstein has performed all over the world. Important venues in North America include the Kennedy Center, Seattle Symphony’s Benaroya Hall, Place des Arts - Montreal, and Carnegie Hall's Weill Recital Hall where he was the first violist to perform all 24 Caprices by Paganini, programming them for his debut in 2016. He regularly performs in Europe – notably atConcertgebouw in Amsterdam, George Enescu Philharmonic, MusikiitaloHelsinki, and can be heard frequently on Classical King FM and WFMT Chicago as well as on the Naxos and Centaur. Among his notable collaborations include the Pro Arte and Cavani Quartets, concerts with members of the Chicago Symphony Orchestra, Bergen Philharmonic, and recitals with Andrei Ionita, Nobuko Imai, to name but a few. 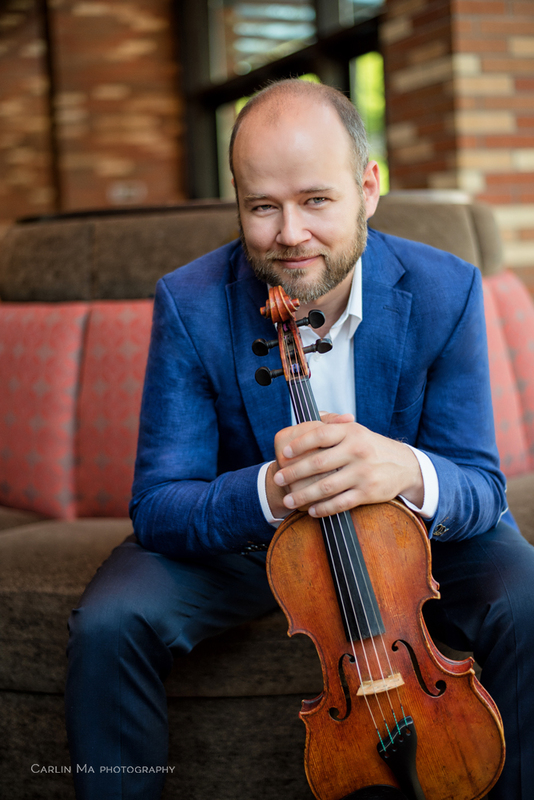 He is the founder of the Logos quartet and performs with pianist Angela Draghicescu, touring extensively in Asia, Europe and in the United States. For the upcoming season 2018-2019, Mr Goldstein has been invited to perform for William Bolcom’s 80th anniversary concert at Merkin Hall, and a world tour for his upcoming release Melanconico featuring works by Schumann, Clara and Enescu.